At Vertex, we are entrusted with our clients’ and potential clients’ confidential technical and business information every day. It is generally necessary for our clients and potential clients to share their confidential information with us to enable us to provide effective consulting services. Vertex and our associates are firmly committed to maintaining the confidentiality of such information and we have and will take all reasonable steps to do so. 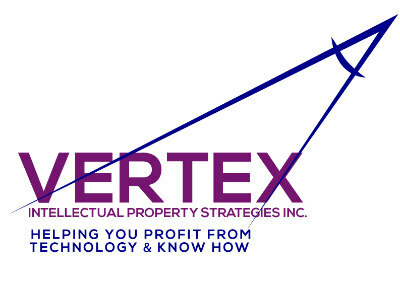 Vertex Intellectual Property Strategies Inc. was founded by Dave Tyrrell in 1998 with the goal of providing intellectual property management and technology licensing consulting services. Common Issues and Concerns that Vertex Addresses Listed below are intellectual property strategies and management, technology commercialization, and technology licensing questions and opportunities that Vertex helps its clients address. The Vertex Commercialization Roadmap was created to help us provide various consulting services to our clients.